Residential aged care is a service for elderly Australians to receive continuous support in their day-to-day lives. 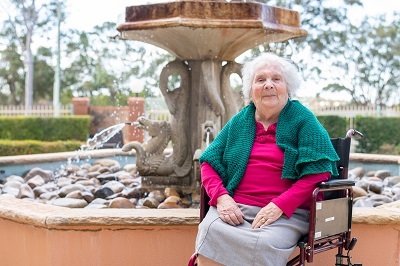 Aged care homes such as Scalabrini enable the elderly to live rich, full, comfortable and peaceful lives through emotional, physical and clinical care and support, in a communal environment. Scalabrini’s philosophy of care, Sono Io (Italian for This is me), is founded on the principles of Personhood, which recognises and caters to the needs of each resident individually. Across our residential aged care villages, we support and encourage residents to maintain self-determination and independence. Our staff understand that only the resident has the knowledge and right to control the decisions that affect their life. Our goal is to maintain dignity, meaning, and purposeful living for our residents. We know that simply talking about this only will not make a difference. Instead, at Scalabrini we have deliberate strategies in place that ensure residents are truly at the centre of everything we do. Our strategies focus on the relationships between residents, their families, and our staff; the people who affect, and are affected by our residents’ wellbeing. Our unique person-centred strategies respect the individual, focusing on the person, and not the condition. By tailoring care and support to each resident, we enrich self-worth; give meaning, purpose, and comfort. Home is many things – Feeling at home means that residents can be themselves, feel safe, secure, free and relaxed. Home is family – Involving and engaging family to the extent they wish is crucial. Staff spend time getting to know each resident and their family to ensure families feel comfortable, and continue to be part of the resident’s life. Shared decision-making is important – Residents, their families and staff share in decision-making on all aspects of life in the village. 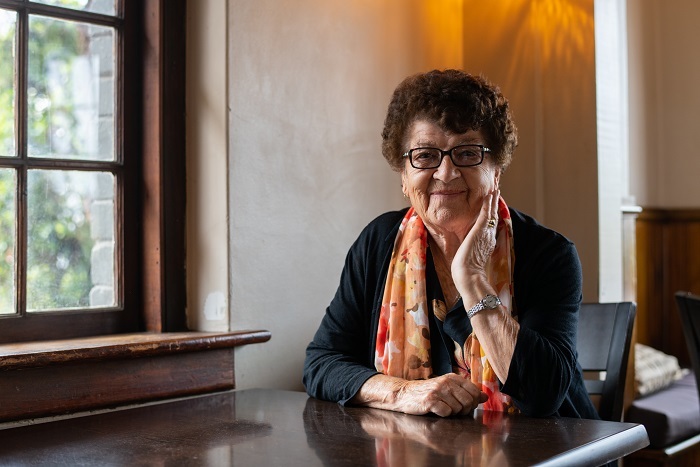 By asking the right questions and paying attention, staff get to know each resident; their personalities, their likes and dislikes, their history, their storey. On a daily basis, staff take notice and look for clues about the resident’s interests and preferences. We recognise the importance of connection, relationships, contribution and autonomy to quality of life. Staff are trained to deliver flexible support to each resident. Staff are enabled to take their time in getting to know each resident’s individual needs. Scalabrini’s boutique offering gives staff the flexibility and time to provide a smile, a personal touch and to notice the little things that matter. In contrast to traditional aged care where routine and structure dictate. Staff spend time interacting with each resident and have the space to listen and connect with the resident more deeply. As part of our service, we also offer residential respite care with an aim to assist family carers who might have health problems of their own, or who might just need a break or time to recharge from time to time.